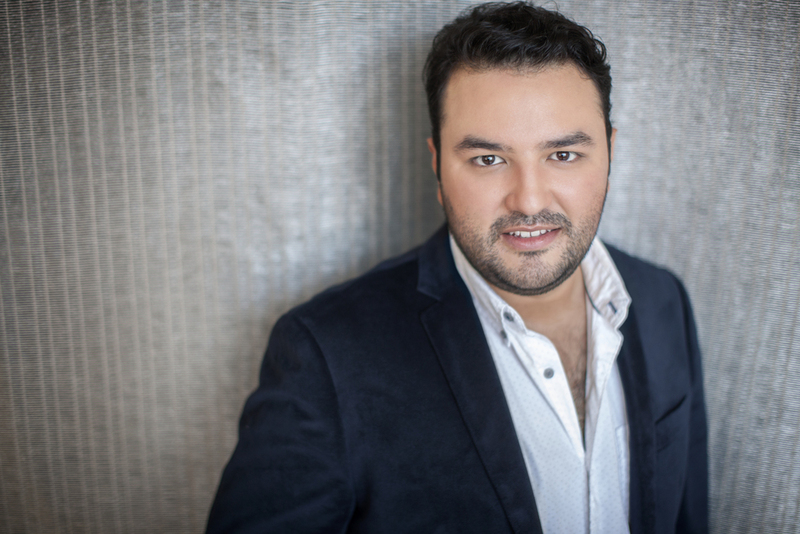 Tenor Mario Chang, a native of Guatemala City, Guatemala, recently completed the Lindemann Young Artist Development Program at The Metropolitan Opera and the Advanced Diploma in Opera Studies program at the Juilliard School. In the 2014 – 2015 season, Mr. Chang will join Frankfurt Oper as an ensemble member where he will sing Rodolfo in La Bohème, the Italian Singer in a new production of Der Rosenkavalier and Cassio in Otello. Mr. Chang will also made his North Carolina Opera and role debut as Alfredo in La Traviata. Mr. Chang’s operatic performances include his Met Opera debut as the Forth Squire in a new production of Parsifal, his Israeli debut as the Chevalier de la Force in Dialogues des Carmélites and Rodolfo in La Bohème with the International Vocal Arts Institute in Tel Aviv, Gaston in La Traviata with Centro Cultural Miguel Ángel Asturias, Don Ottavio in Don Giovanni with Teatro Lirico D’Europa, and Fritz Kobus in Mascagni’s L’Amico Fritz with Miami Lyric Opera. Concert performances include Mozart’s Requiem with Orquesta Sinfónica Nacional de Guatemala and Beethoven’s Symphony No.9 with Orquesta Sinfónica Centroamericana in Nicaragua. Other highlights include a concert in Puerto Rico honoring Giuseppe Verdi with Teatro de la Opera, Mozart’s Requiem with Clarion Music Society of New York, his participation in the Opera Studio at L’Accademia di Santa Cecilia di Roma in Italy with soprano Renata Scotto, his Carnegie Hall debut singing in a concert with the Musical Olympus Foundation, and his debut with the Orchestre Symphonique de Bretagne in Rennes, France. He was also a guest soloist with the Saint Petersburg State Capella Symphony Orchestra at Festival Musical Olympus in Russia. Honors and awards include the First Prize, Zarzuela Prize, and audience favorite at the 2014 Operalia Competition, Top Prize in the 2014 Gerda Lissner Foundation Competition, a Festival Musique et Vin au Clos Vougeot career grant in 2013, a 2012 Hildegard Behrens Foundation Award grant for promising Young Classical Artists, the 2011 recipient of the overall First Prize, the Plácido Domingo Prize and the ‘Amigos de Sabadell’ Prize in the Francisco Viñas Competition at Teatro del Liceu, Barcelona. He also received awards from the Concurso de Canto Lírico de Trujillo, Perú, and the Asociación Artista del Año and Asociación Dante Alighieri in Guatemala.